We have collected highlights from our company’s long and rich history. What started out as a small engineering branch has developed into a thriving multinational company. The story about Oglaend System began in 1976, when Jonas Oglaend AS took over Sandnes Jernvarefabrikk (hardware factory). 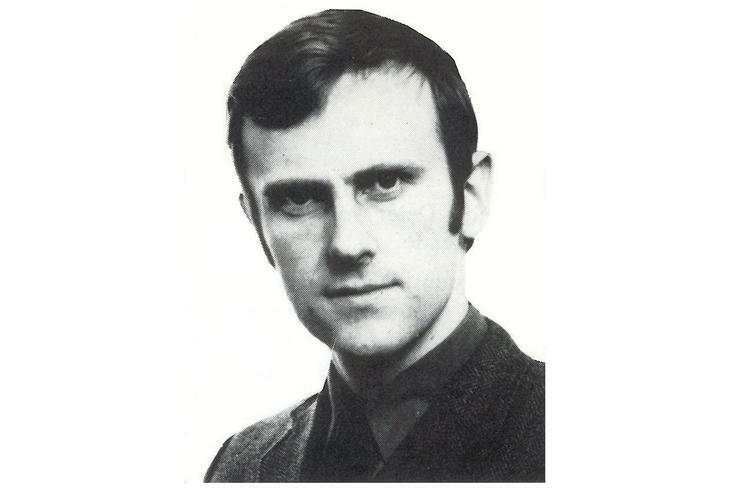 Gunnstein Austigard (pictured), a young electrical engineer from Jonas Oglaend AS, was assigned to analyze and evaluate the product portfolio of this acquisition. 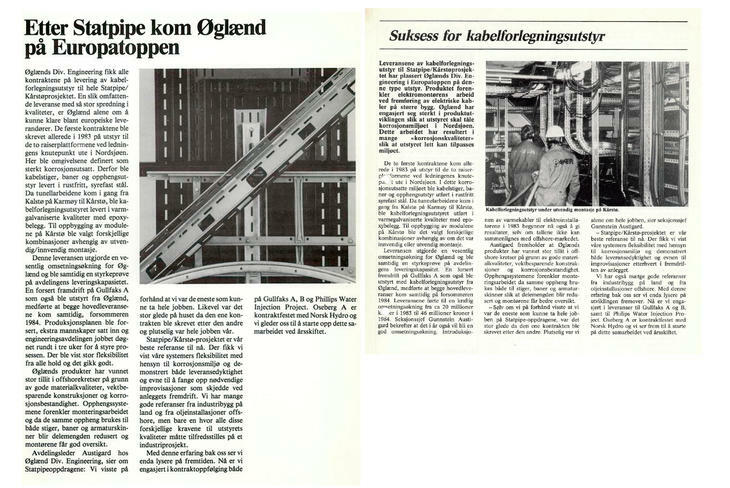 Austigard concluded that among garbage cans, wheelbarrows and copper items there was a greater potential for cable ladders especially within the oil and gas sector, which was on the rise in Norway. 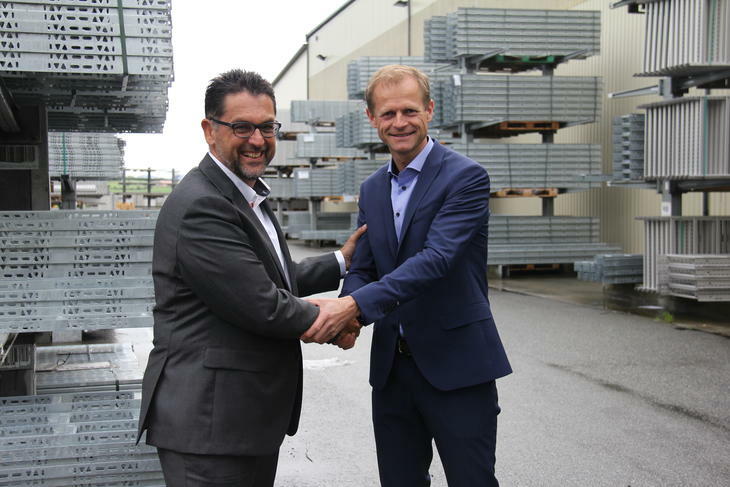 Based on the portfolio and market research by Gunnstein Austigard, Jonas Oglaend AS decided to pursue the development and production of cable trays, cable ladders and multidisipline support systems. 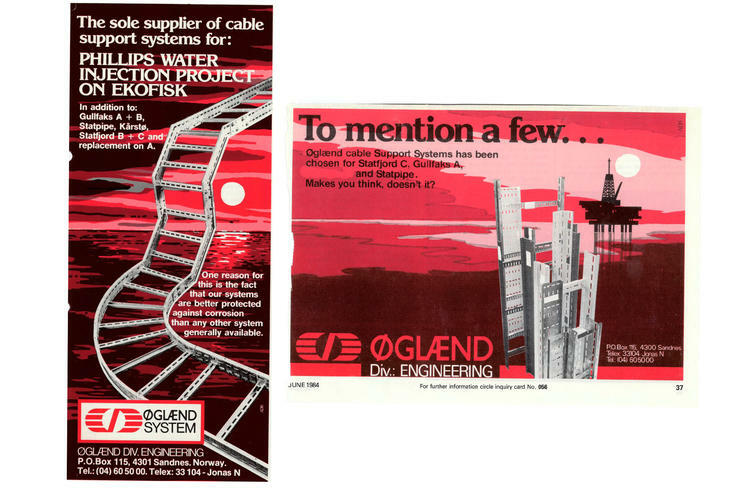 The primary goal of Oglaend System’s predecessor, O-Engineering, was to become a market leader within cable support systems. These products are now distributed through the brand name Oglaend System. Lower weight, but greater strength! 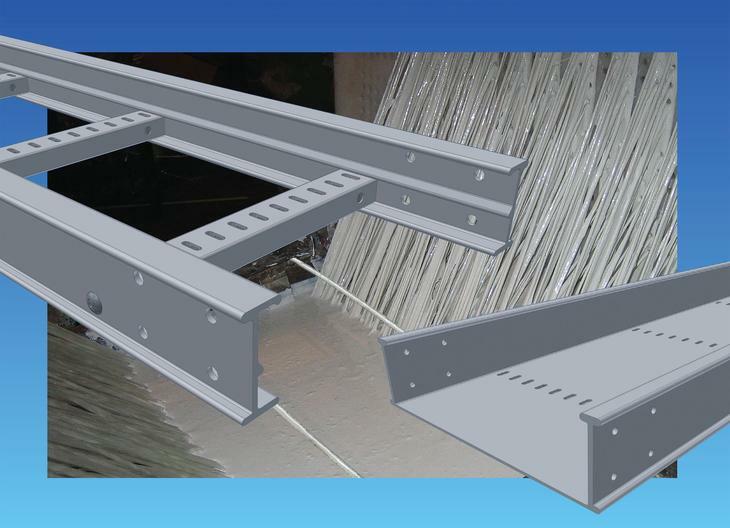 O-Engineering developed fully pre-slotted profiled cable ladders and cable trays. The system was significantly lighter and installation was made easier by replacing welding and drilling with bolting; which resulted in dramatically reduced installation time. This year Jonas Oglaend AS got outstanding feedback on their exhibition at Offshore Northern Sea (ONS) in Stavanger. O-System won the contract for cable support systems to the Statfjord B project. This contract showed that Oglaend System had truly found its place within offshore activity in the North Sea. The Valhall support system was coated with epoxy, which was a costly error because the weather conditions were extremely harsh. This lead the way for O-Engineering, who was assigned to rectify the problem. O-Engineering was awarded the contract for cable trays and cable ladders for Amoco Valhall. 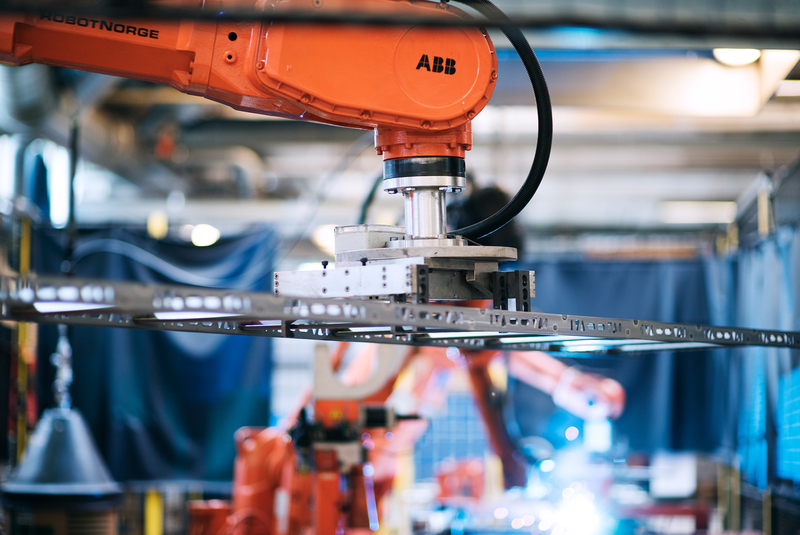 The department for industrial assembly equipment within O-Engineering passed 10 million NOK in revenue. This year the brand name Oglaend System appeared in an advertisement for the first time. Oglaend System won the contract for Statfjord C.
Corrosion problems in the North Sea generated more jobs for Oglaend System, with supplies to Elf, Frigg and Odin. This year the branch magazine, "Kampanje" no.7/8 1982, published an editorial about Oglaend System’s strategy and product development. 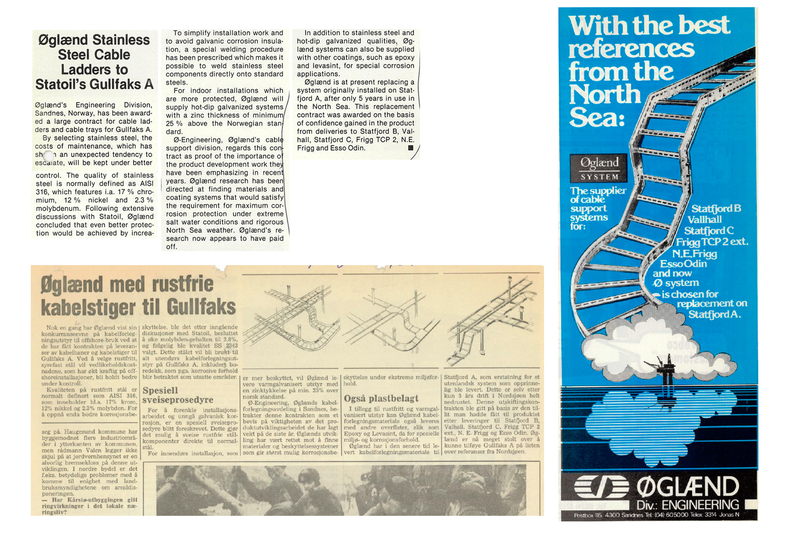 The deliveries to Gullfaks A were considered a breakthrough for Oglaend System’s stainless-steel products. 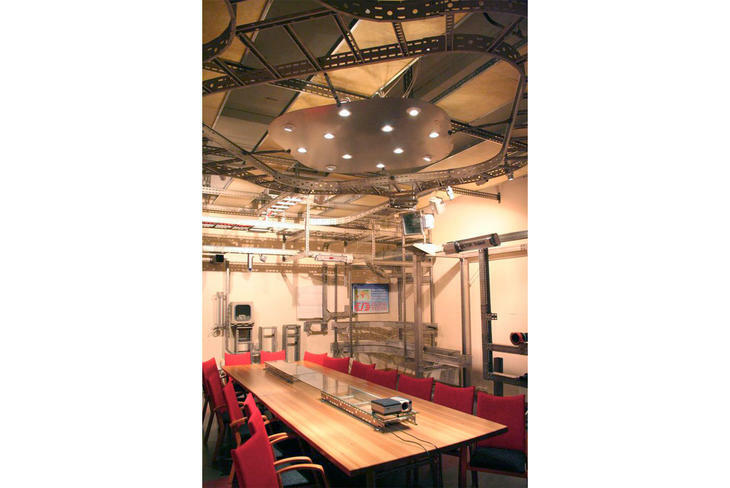 A system in this material ensured that minimal maintenance was required and provided an extended product lifetime. Oglaend System got a lot of credit for the development of this system. 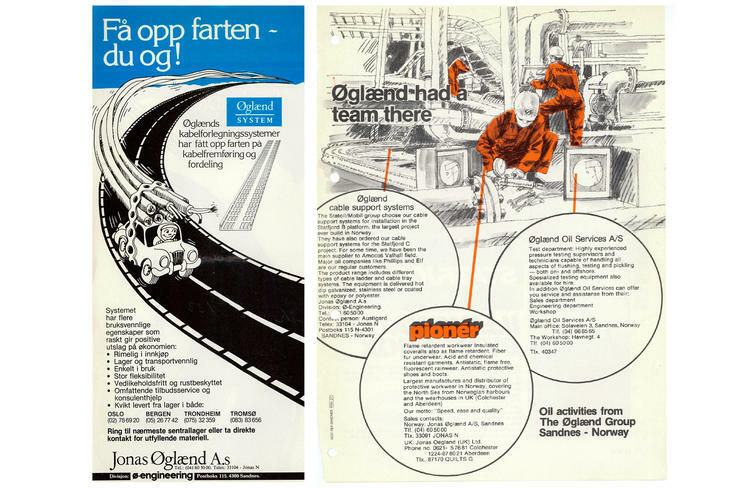 At the same time, Oglaend System entered into an agreement to supply Statpipe. This extensive order supplied two offshore platforms, the subsea-tunnels under Førresfjorden and Førlandsfjorden, and the Kårstø processing plant. 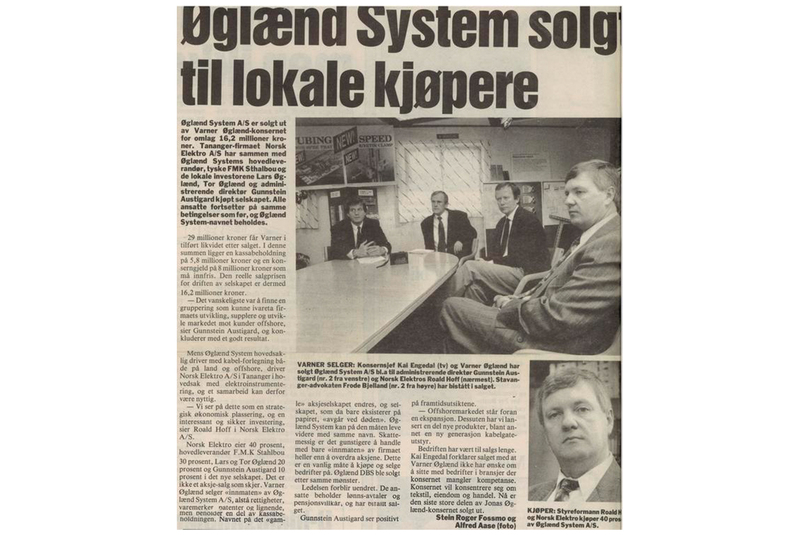 At the time, Oglaend System was the only supplier that could cope with the sheer size of the Statpipe contract. The experiences from Statpipe were promoted and Oglaend System achieved great recognition among offshore experts due to their excellent material quality, weight reducing construction and anti-corrosive qualities. This innovative system also simplified installation greatly. 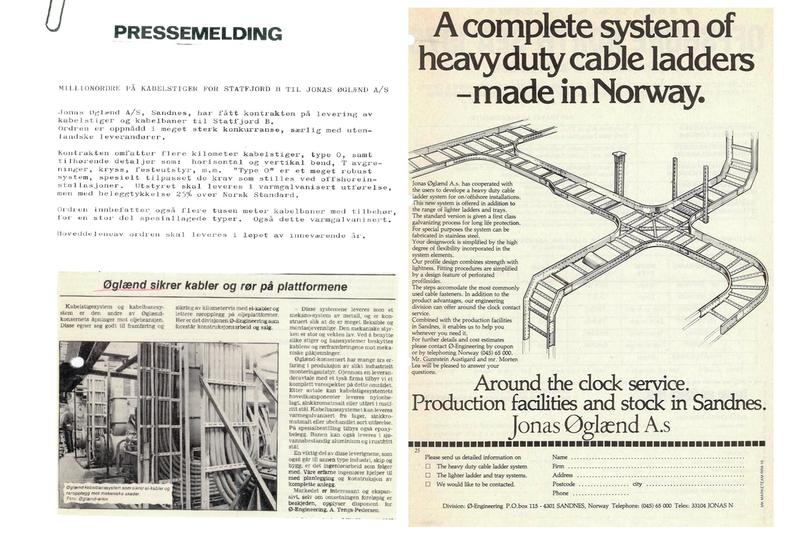 Oglaend System got the contract for Oseberg A.
Jonas Oglaend AS divided the metal group into three individual Ltd. companies and Oglaend System AS was formed. 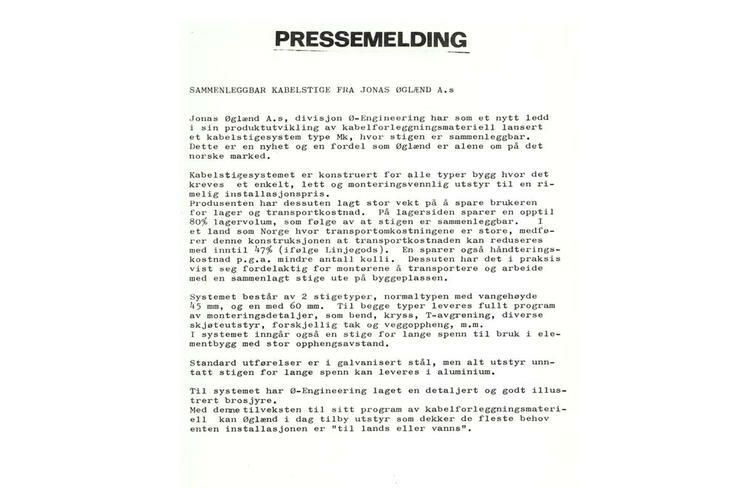 The same year Jonas Oglaend AS was bought by Varnergruppen - a holding company with a main focus on real-estate and clothing. 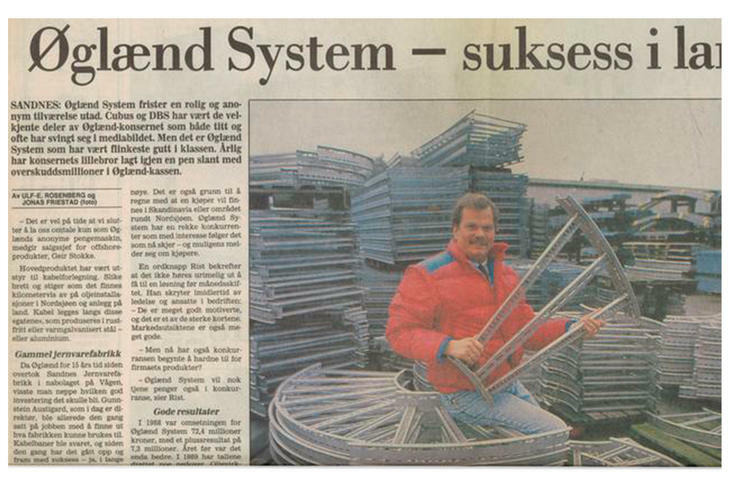 The Flexogrid® system, patent no. 155664, was launched. An integrated support system for all disciplines - piping, electrical cables, HVAC and instrumentation. Flexogrid® delivered added value through time reduction, maximised volume utilisation, weight reduction, enhanced lifetime and improved safety performance. 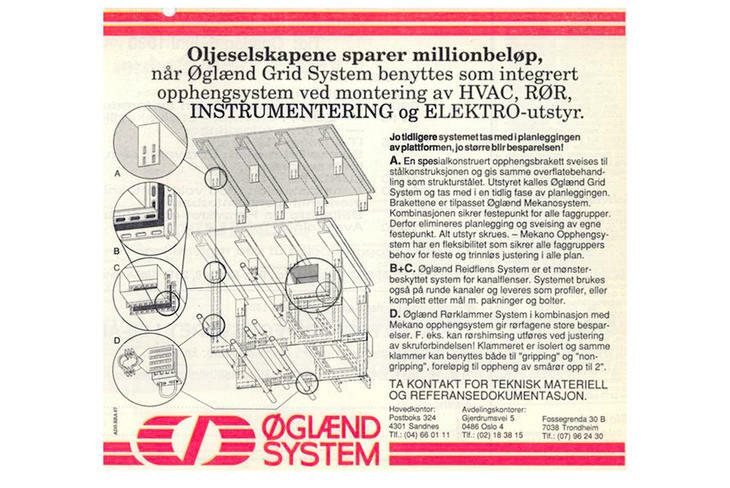 Over the years the Flexogrid® and the Oglaend System grid philosophy in general have become symbols of the core of the Oglaend System brand. Today the Flexogrid®-system has been replaced and improved with our MultiGrid® installation concept. Despite being "the quiet boy" among all the other divisions in the Varner-Oglaend group, Oglaend System AS undoubtedly showed the best performance of all. After the Varner-Gruppen acquisition in 1987 all divisions that were not related to either real-estate or clothing were put up for sale, including Oglaend System AS. KPMG were assigned the responsibility for selling these divisions. There were several potential buyers, among others; the management group of Oglaend System AS. This year the ETIN™ tubing clamp was put on the market. 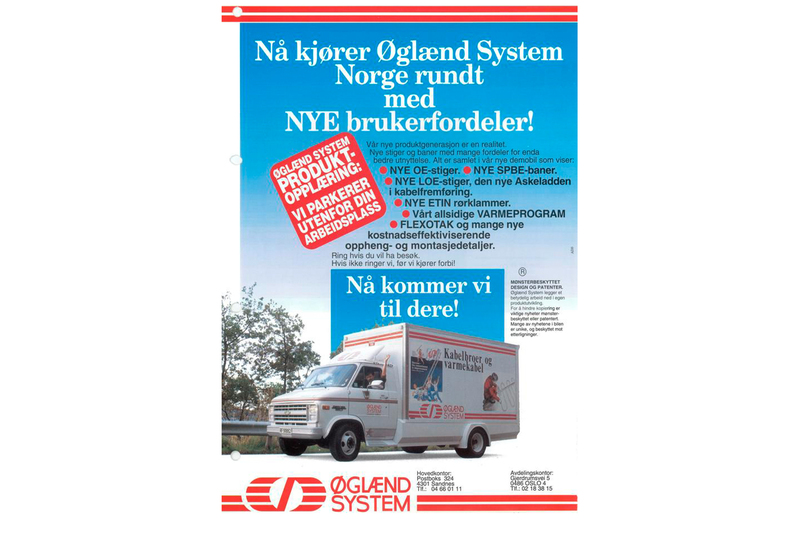 Varner-Oglaend sold Oglaend System AS for 29 million NOK to a group of local owners and was officially entrusted the new owners on 1 January 1991. The new owner-group consisted of NE Norsk Elektro 37,5%, main supplier MFK Stahlbau 30%, Lars and Tor L. Øglænd 22,5% and Gunnstein Austigard 10%. Gunnstein took over 15% of MFK Stahlbau's share after three years. Oglaend System AS invested in a brand-new demonstration van this year. The innovative product portfolio and the KnowHow of the company was consolidated in this new exhibition van. This marked the beginning of Oglaend System AS' work with seminars and product training. 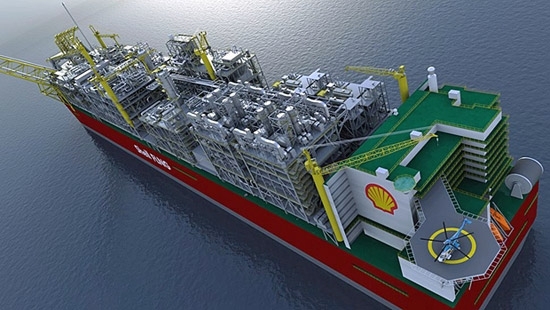 This year Oglaend System won the supply for the Shell Draugen field. 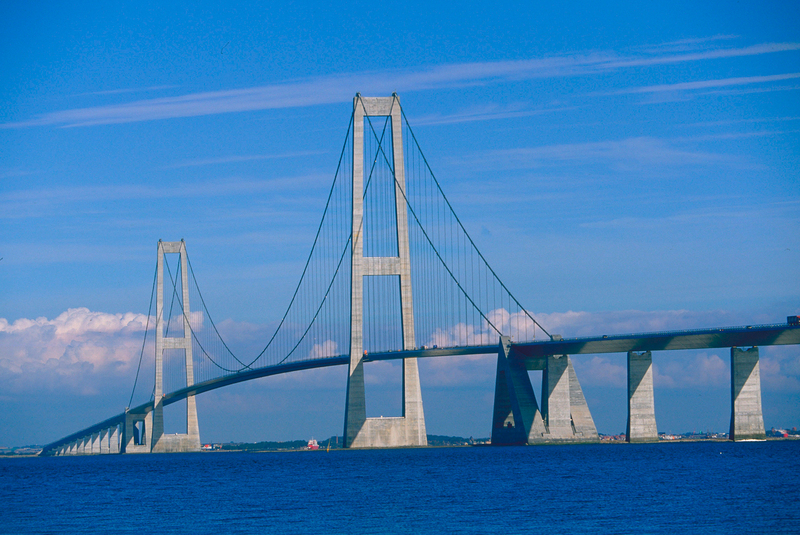 The Storebælt bridge (7,5 km) and tunnel (8 km) connect the islands, Sjælland and Fyn in Denmark and consists of both highway and railway. Oglaend System supplied approximately 50 km LOE cable ladders, half in HDG and half in SS, to this project. Complete with accessories like channels, brackets, clamps etc. Oglaend System was forced to search for alternative market places due to a recession period in the oil and gas industry. Several new solutions for tunnels, bridges and the food-processing industry were developed. Furthermore, Oglaend System invested in stamping machines from Finnpower. In 1993 the turnover was 70 million NOK with a revenue of 8,2 million NOK. This was also the year the Flexi Hinge™ was introduced. The first Oglaend System subsidiary was opened in Ridderkerk in Netherlands. The office also covers the market in Germany and Belgium. 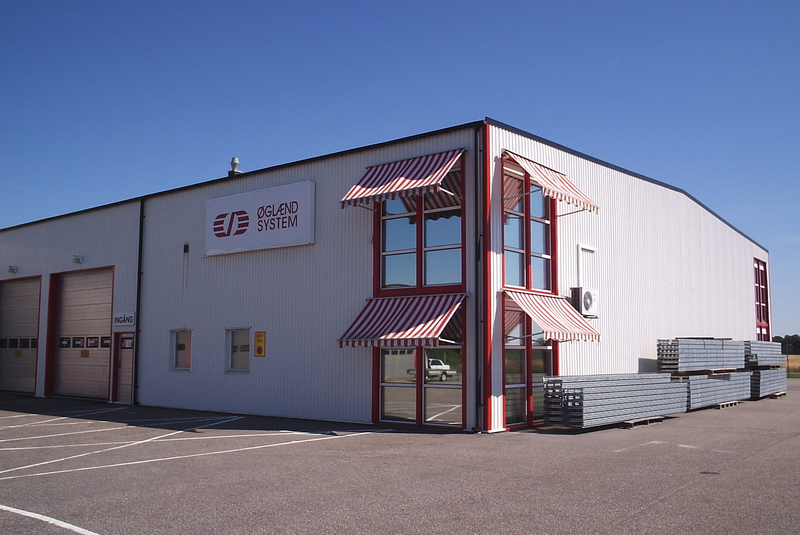 In addition to office facilities, the subsidiary has a finished goods warehouse that can quickly supply most cable ladders, cable trays, support systems and ETIN™. 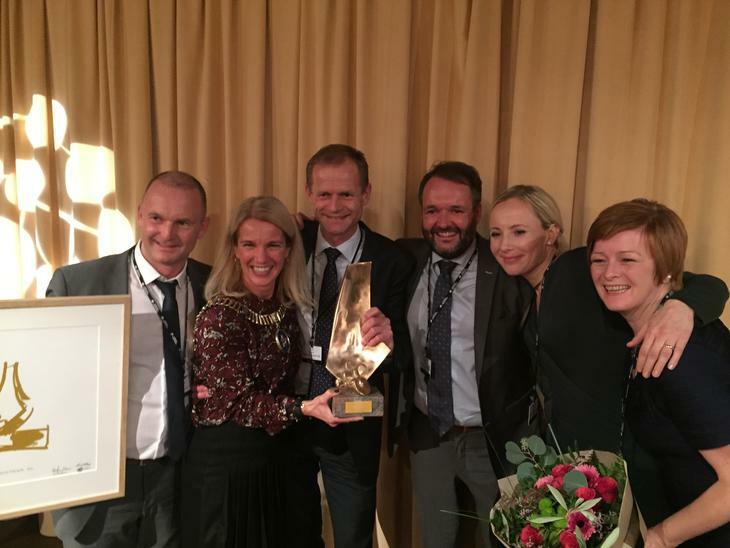 Oglaend System AS was awarded the "Industry Award" from Sandnes Sparebank. The jury said: "Oglaend System AS has developed a good and profitable enterprise with a product portfolio that is leading in its industry". In the picture Mayor Jostein W. Rovik (to the right) hands the prize to CEO, Gunnstein Austigard. This year the UNO card is launched. Exportation counted for about 30% of the total turnover. Oglaend System AS took over the supplies to Hibernia, which is the world’s largest platform in terms of weight. 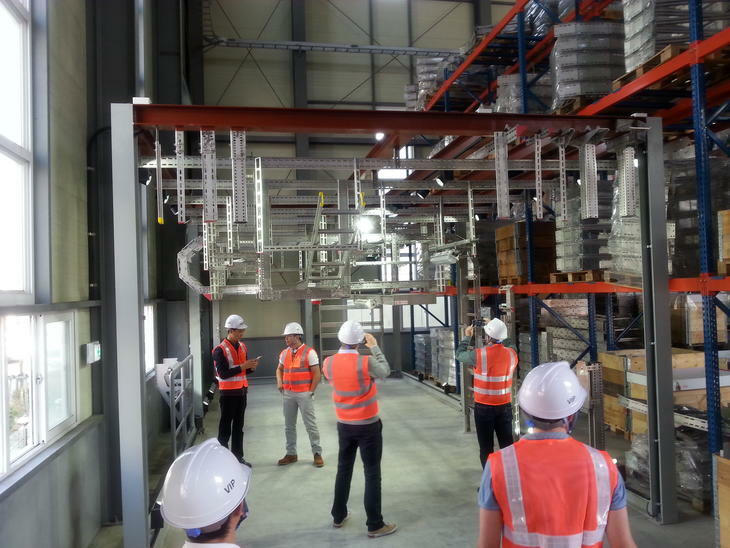 About 70,000 meters of cable trays and cable ladders were supplied to the project. During Christmas holidays in 1998, Oglaend System AS moved factory and administration from Sandnes to Øksnevad Business Park, which is still our base of operation. This was not a small operation, as 300-400 full-loads on trailers moved the 25 machines, stock and office inventory. All 25 machines had to be dismantled, moved and reassembled. Suddenly the 45 employees had about 7,000 m2 at their disposal. This year the turnover reached 165 million NOK with a 10% revenue. A new Oglaend System office opened up in Singapore to ensure the company would take part in the increased activity in platform and ship construction in the area. A brand-new demo room with capacity for 30 people was opened up in Norway. Oglaend System was now a global market leader with its products in stainless steel. This called for an increased effort with product training and seminars. 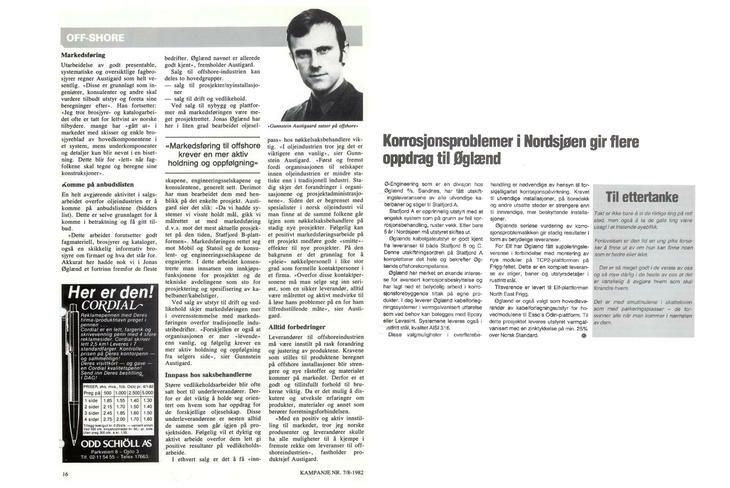 In 2001 the turnover was 185 million NOK with an export share of 50%. The number of employees at this point was 115. 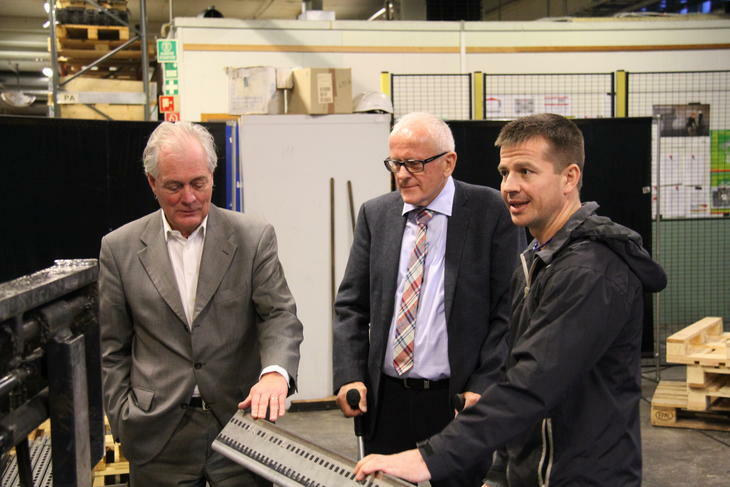 The Norwegian factory also invested in a fully-automatic folding machine for three-meter-ladders. The UK subsidiary was established in 2000 and is located in the heart of England; the West Midlands. Their primary industrial focus is on the offshore and onshore oil and gas sector, shipbuilding, infrastructure/tunnels and water treatment industry. Oglaend System UK is also the European hub for deliveries of FRP support systems. 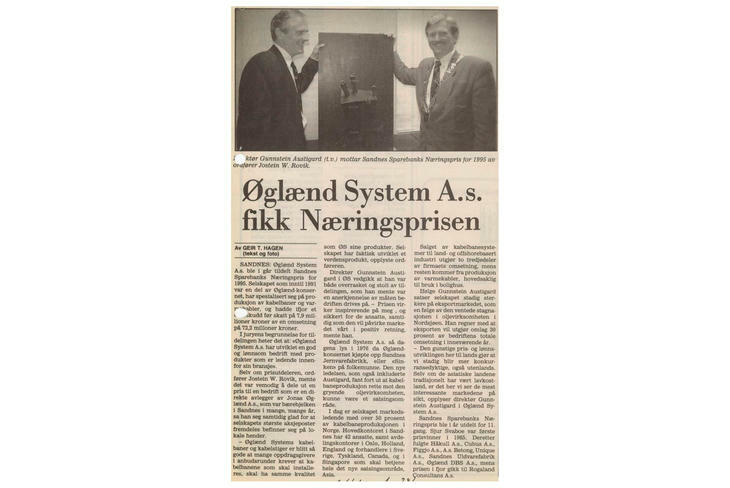 Oglaend System Sweden was established with its main office situated in Nacka in Stockholm and a regional office in the Region of Øresund in Höllviken south of Malmö. Their primary industrial focus is on construction companies, infrastructure, onshore and offshore oil and gas sector and shipbuilding. The SMART BOX™ was launched. 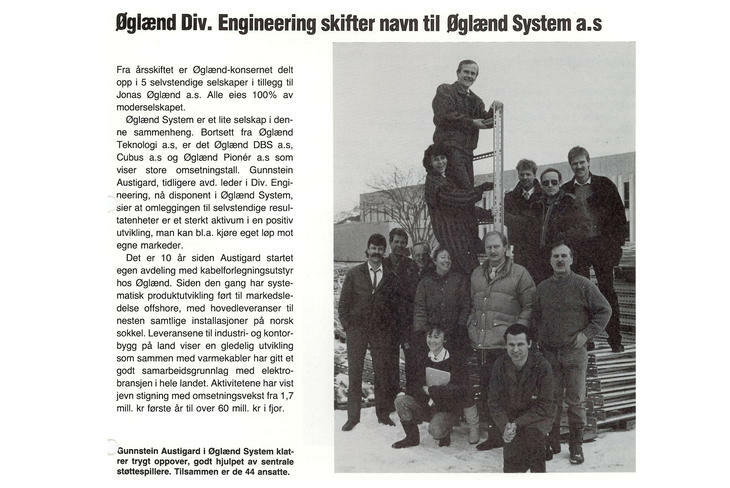 Oglaend System worked for a year on gaining the Snøhvit contract and eventually won it. The contract covered about 20% of the production volume. 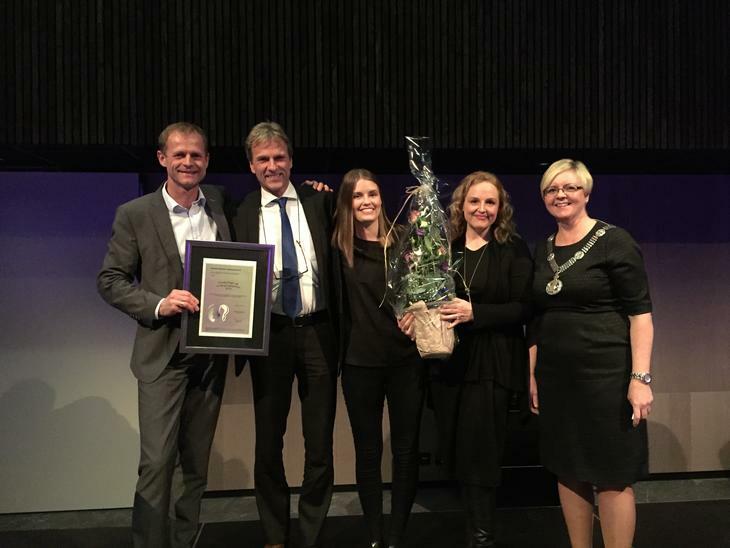 Oglaend System was awarded the prestigious "Export Award" for Rogaland in Norway. Oglaend Industries AS was established as a parent company, which meant that all international sales offices became subsidiaries. The management declared that a yearly growth of 10-20% had to be generated by export. This year Oglaend System won the contract for Ormen Lange. Furthermore, The Clean Trunking Type CT for hygienic and clean environments, was launched. A new market opened for Oglaend System with supplies of custom made trunking systems for clean room plants such as slaughterhouses, pharmaceutical industry, breweries, dairies and more. 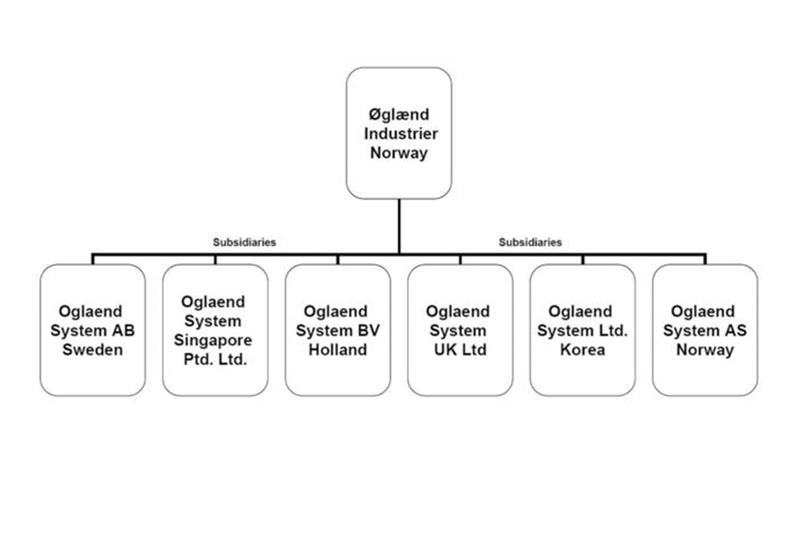 Oglaend System Korea Co., Ltd was established in 2004. There are currently two offices, one in Busan and the other in Seoul. The subsidary in Busan also has a large warehouse and fabrication facility. Their primary industrial focus is on the offshore and onshore oil and gas sector, as well as shipbuilding. Turnover increased with 61,3% to 242 million NOK and the export-rate reached 57%. The company was targeting a turnover of 450 million NOK in three years and this called for a strong focus on big international projects, product development and factory effectiveness. The MultiGrid® installation concept was launched this year. Due to great business possibilities within the oil and gas industry in the Middle East, Oglaend Industries AS established a subsidiary in Dubai. More importantly, this subsidiary was also the main centre for development and production of a new product line, namely FRP. 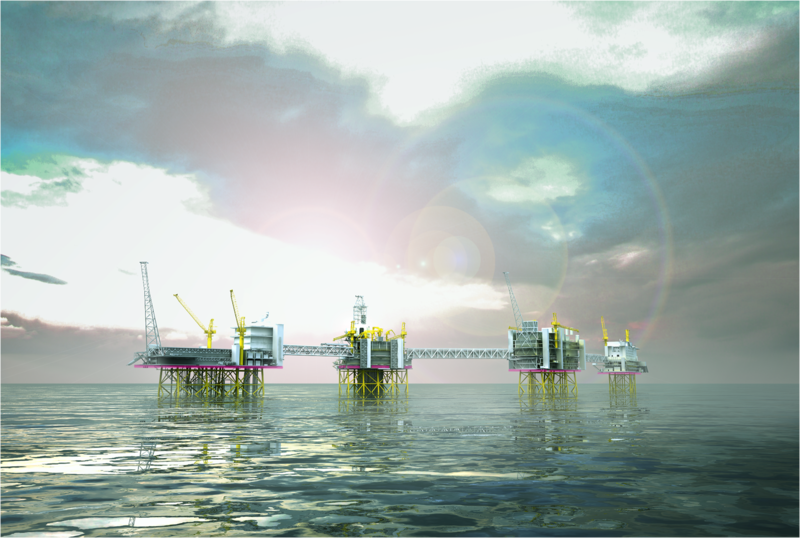 This year an Oglaend System entered into an agreement with Aker Kvaerner to supply the H6 project. In 2007 there were many reasons to celebrate. 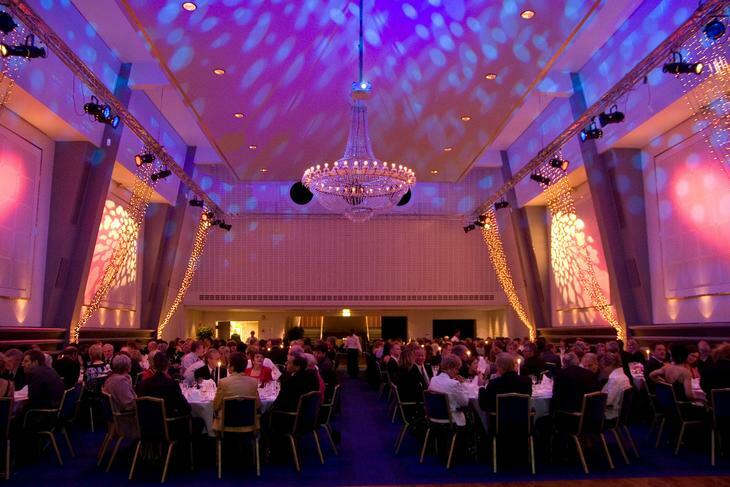 On 27th of April Oglaend System AS celebrated its 30-year anniversary with a gala dinner for 250 guests in Atlantic Hall in Stavanger. Another milestone was the record turnover of 375 million NOK and the highest monthly turnover of 41 million NOK. There was a large demand for our multidiscipline support systems. 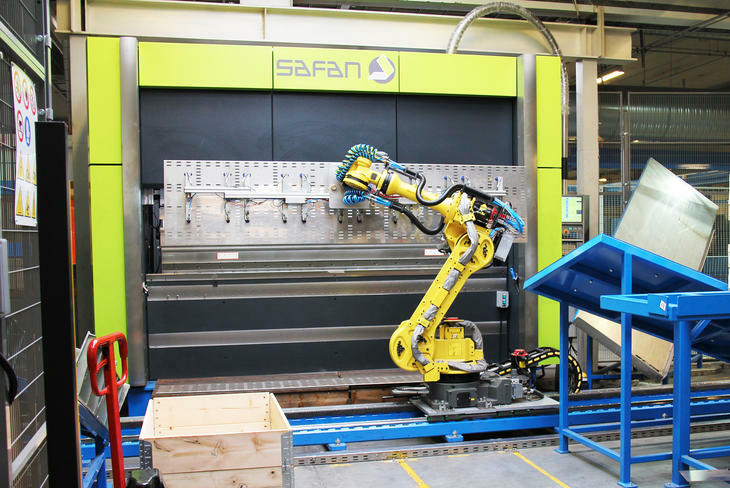 Seeing as this almost burst production capacity, more than 40 million NOK was invested in expanding the factory, acquiring a fully-automatic “night-train”, fully-automatic welding robots, a new demonstration van and new office interiors. Oglaend System's subsidiary in Denmark opened, and would serve as the group’s main hub for wind power solutions - both offshore and onshore. However, they also work within oil and gas, infrastructure and the food processing industry. 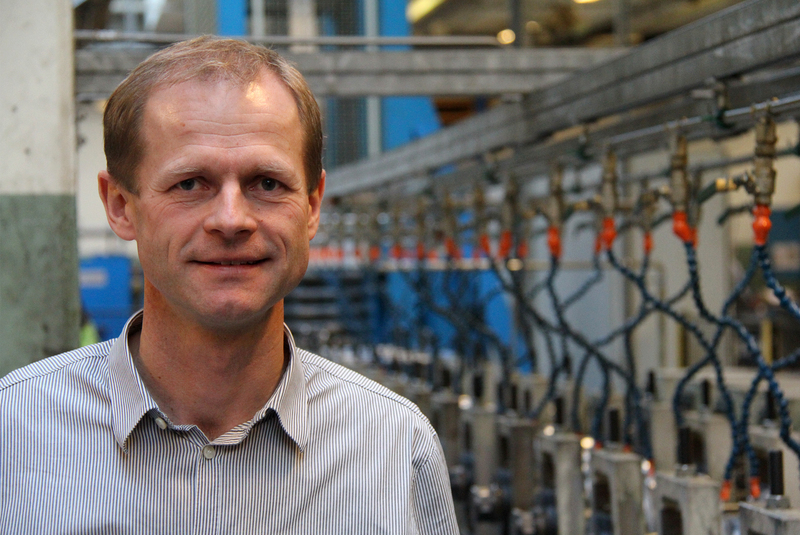 Oglaend System’s founder Gunnstein Austigard stepped down as CEO, which lead the way for his son, Geir Austigard, who was hired to take over the CEO position. This was also the year our subsidiary and factory in Malaysia was established. It has a total area of 6,700 square meters and its main fabrication is FRP and some steel products. 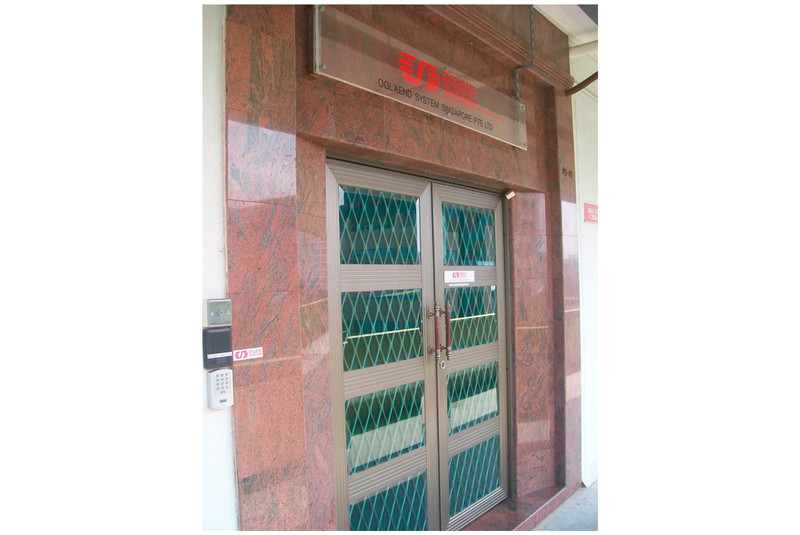 Malaysia is Oglaend System’s centre for FRP and global export, with the main end market being Asia. 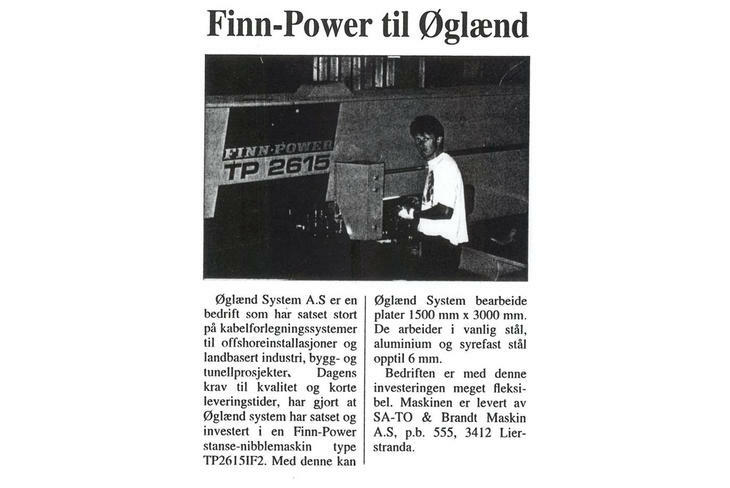 Oglaend System AB in Sweden moved offices from Staffanstorp to Höllviken. Over the years Oglaend System transitioned from being a component supplier to offer a complete product portfolio of multidiciplinary systems. This was also the year the first prototype of the Mekano® triangular channel was produced. 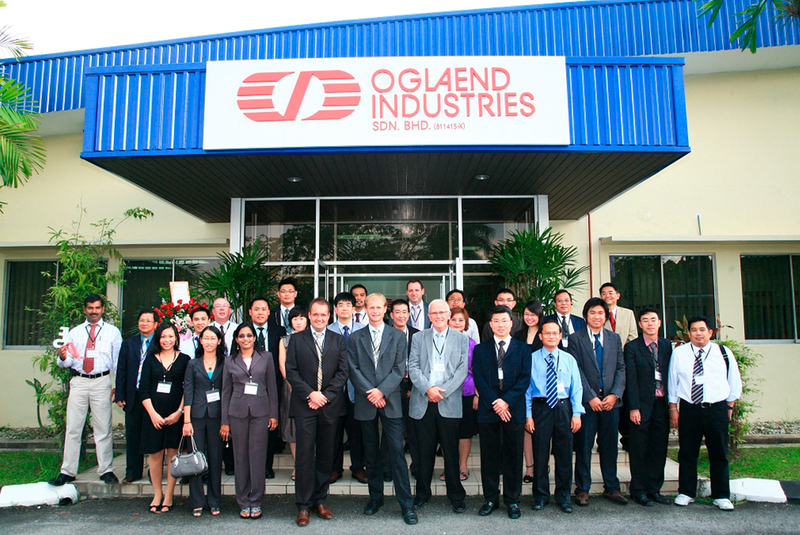 On 1 January 2011 Oglaend Industries AS established two new subsidiaries, respectively in Russia and the US. Oglaend System started the delivery to the Sevan Goliat FPSO. For this project Oglaend System supplied stainless steel systems such as: MultiGrid®, cable ladders, cable trays, HVAC supports, pipe supports and accessories. 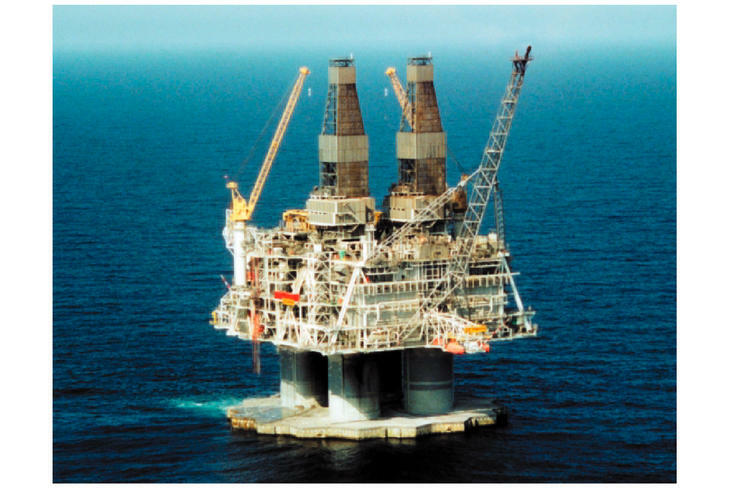 The topside weight for this project was 30,000 tonnes, with a total value of $42 million for Oglaend System. The R&D department at Oglaend System was moved to Oglaend Industries, in order to secure quality R&D services for all subsidiaries on an equal basis. 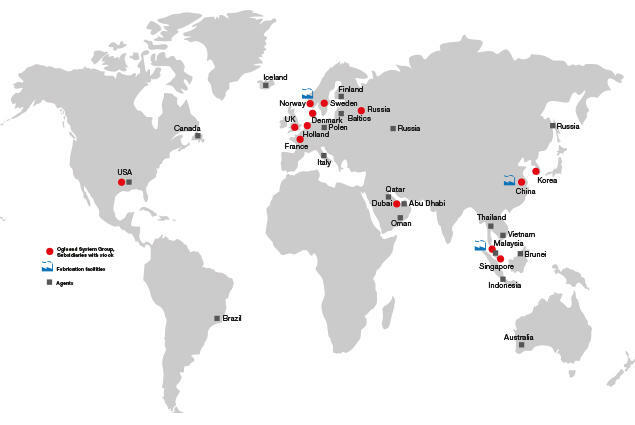 Furthermore, Oglaend System established engineering hubs in London, Houston and Kuala Lumpur to work as an extended arm of our main R&D department. By doing so, we are able to ensure that our customers can get our advise and recommendations from an office nearby their project location. Oglaend System procured a contract to supply E&I support systems, cable trays and cable ladders to BG’s project called Knarr. The total sale for this project was 40,3 million NOK. In addition, our company also won a contract for another Norway based installation, namely ConocoPhillips’ Ekofisk LQ. It was supplied with E&I support systems, cable trays and cable ladders, piping and HVAC support for a total of 95 million NOK. Oglaend System won two large-scale international contracts for a total of 200 million NOK. The gas projects Shell Prelude FLNG and Inpex Ichthys CPF were both in need of multidisciplinary systems, cable trays and cable ladders. A few investments were made in the Norwegian factory; a new robot cell and rolling mill were installed. The robot cell greatly increased productivity through optimizing production flow, minimising total production cost and reduced the physical strain on workers. The rolling mill on tracks significantly enhanced the production capacity. In October, the deliveries to the Goliat project exceeded 200 million NOK. 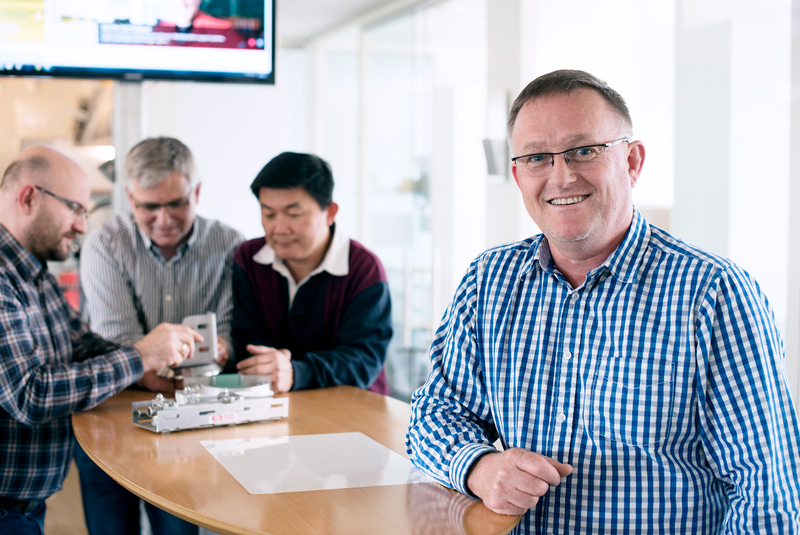 Oglaend System had a record-breaking turnover this month totalling 8.9 million USD, and could also celebrate having the highest monthly group turnover in the whole history of the group - a total of 100 million NOK. On Monday 27th of October the factory in China was declared officially opened. It has a total area of 6,300 square meters and focus on producing galvanized and low cost stainless-steel products. 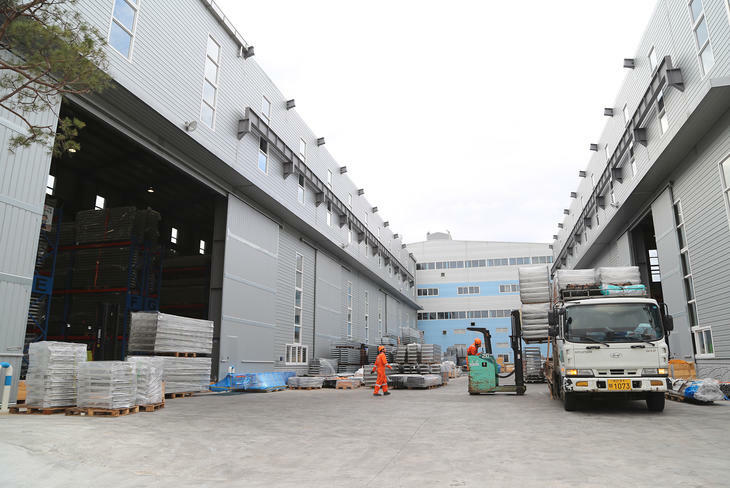 The factory is an important part of our global supply chain strategy and primarily serves customers in the eastern part of Asia - including China, Korea and east Russia. At the same time, the subsidiary in China opened. 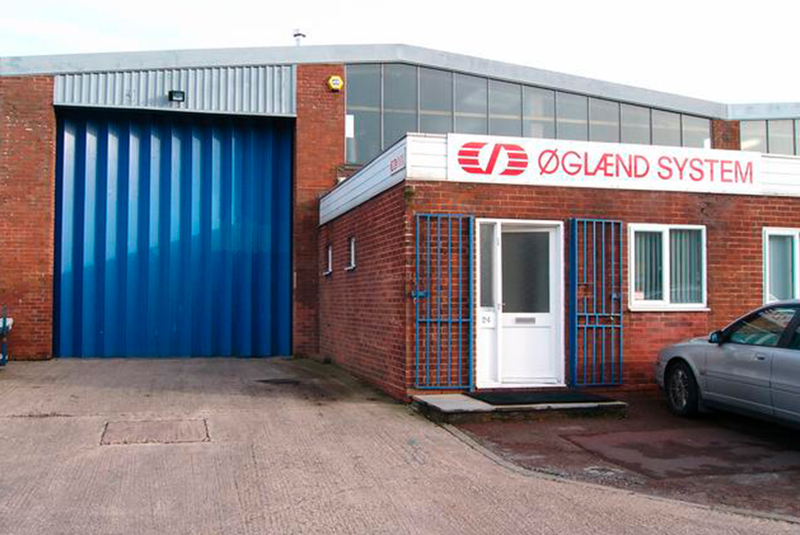 Oglaend UK moved all FRP stock from Norway to its new warehouse in the UK. The private equity firm Segulah IV acquired Oglaend Industries, which opened up for further growth and international expansion. They entered as a medium-term owner and aimed to create change and sustainable value over a period of five to seven years. In 2017 Oglaend Industries was acquired by Hilti Group, who currently owns the company. 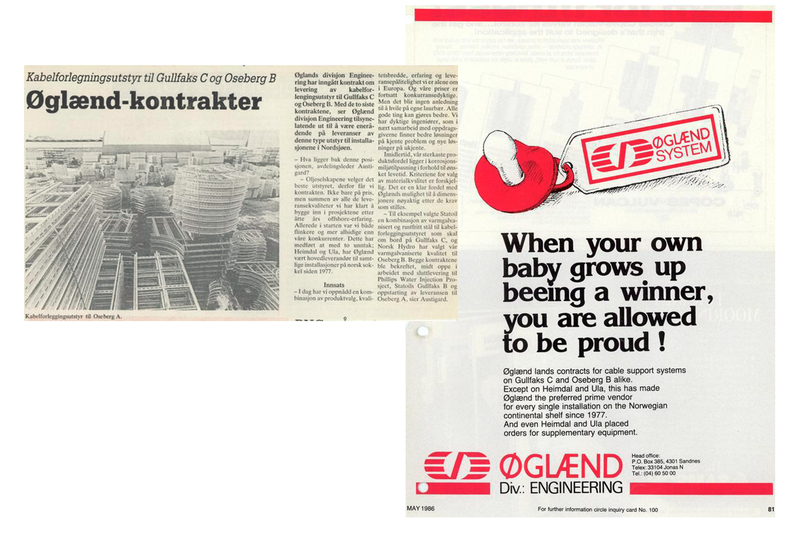 With over 60,000 products Oglaend System needed a tool to contain all the product information. A new product database was developed and was showcased through our Technical Portal. It ensures that our employees are self-sufficient with competence, experience and knowledge at hand. The introduction of the database meant that customers are now able to find up-to-date product information on our webpage. At the engineering conference in April, Kuala Lumpur unveiled their new demo room. It set a new standard for presentation of our systems (in Asia), and makes it more interesting for our customers to visit our factory. Oglaend System France & Switzerland was established and mainly serves customers within oil and gas in this region. Oglaend System delivered products to the BP project's, Clair Ridge and QUAD 204, respectively totalling 190,2 million NOK and 134,4 million NOK. Furthermore, Oglaend System won a large contract for Shell’s Prelude project totalling 140 million NOK. A new web page with a product selector was launched, which simplified the process of finding the right products for each customer. In addition, a new product catalogue was printed and distributed. 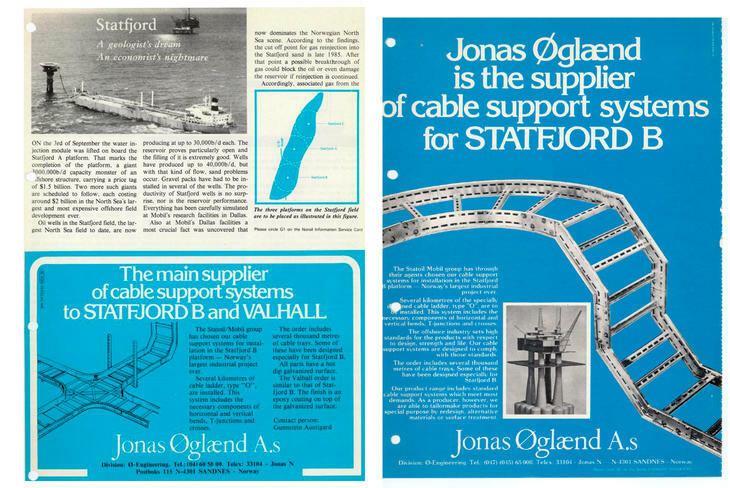 Oglaend System entered into a framework agreement with Statoil to supply support systems, cable ladders and cable trays to four offshore platforms in the Johan Sverdrup field. This contract secured jobs and factory production for several years ahead. 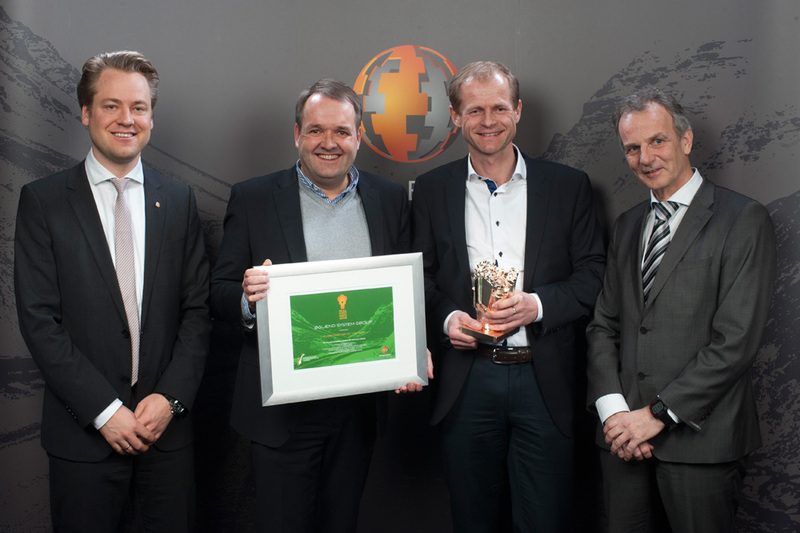 At the Rystad Energy event, “Gullkronen”, Oglaend System was awarded the prize of “Globetrotter of the Year”. The jury explained that “Oglaend System won because they deny the Norwegian perception of gravity as they sell low technology products to low-cost countries, and they are doing well with a 45% growth in 2014. Oglaend System supplied E&I support systems, cable trays, cable ladders, piping and HVAC support to Aker/BP’s Ivar Aasen project, which amounted to 45 million NOK. 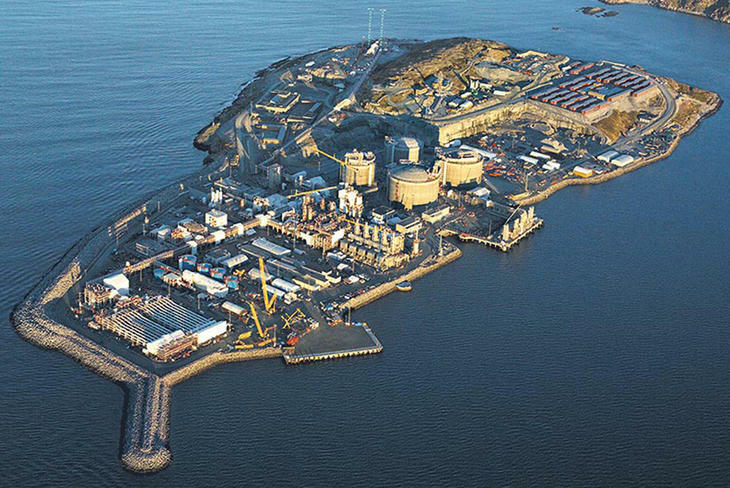 Our company also had a contract for Total’s Egina project for a total of 136 million NOK. The largest contract this year was for Inpex’s Semi Sub, the project’s value for Oglaend System was 270 million NOK. Oglaend System received the prestigious "Business of the Year" award. The reason being that our company’s growth is founded on our strong corporate culture, and a solid awareness of our own industrial heritage. In addition, Oglaend System also won The Confederation of Norwegian Enterprise’s (NHO) Research and Innovation Prize at the Sola Conference. The prize was awarded to our company for showing innovation capabilities in dialogue with the research environment by producing new products or improving processes. The first complete FRP system supplied was for the Belgian wind turbine project, Bligh Bank. The project was constructed by Bladt industries and Semco maritime. The transformer platform got a complete FRP system with support channels, cable ladders, cable trays and fasteners. This year saw some large-scale deliveries to for instance Lukoil’s Filanovsky project with a total of 187 million NOK. But the largest project we delivered to this year was Statoil Mariner, with a supply worth 311 million NOK. Oglaend System Australia Pty Ltd was established with its office in the Australian oil city; Perth. Oglaend System supplied to the Kaombo FPSO x 2 project by Saipem, and Maersk UK’s project, Culzean FSO. Hilti Group acquired Oglaend System Group; they aimed to extend their business in the oil, gas and wind offshore markets. 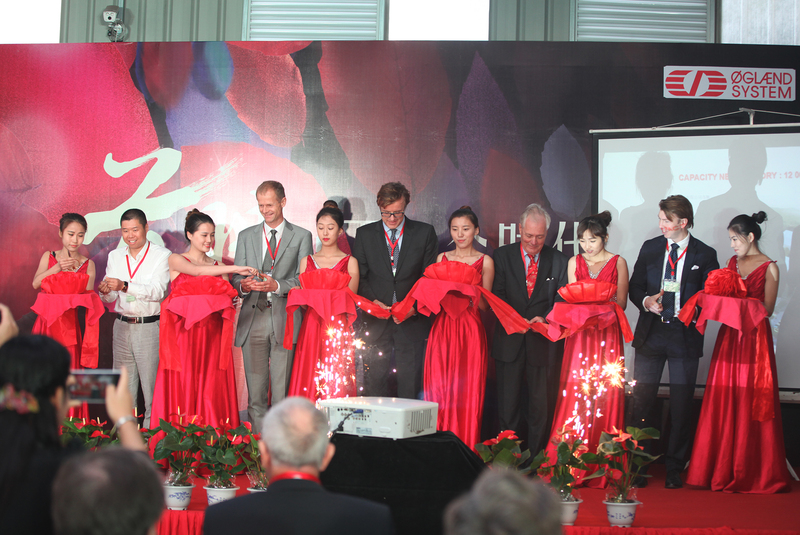 Hilti Group officially became the owner on the 23rd of August. Oglaend System celebrated its 40-year anniversary this year, and hosted an international sales meeting at the headquarters in Norway. Our new calculation program Precision for Decision (P4D) was launched.